PHOTO: North Korea, which has remained isolated in recent decades, is gradually opening to tourism, even from Americans. The Mass Games, pictured above, have been the biggest draw for tourists to date. Young Pioneer Tours, a Xian, China-based operator offering tours to the Democratic People’s Republic of Korea, better known as North Korea, reported that it will take advantage of an opening of domestic flights within North Korea to expand its tours to the isolated communist country. According to the company, DPRK just opened its domestic flight routes for the first time in years. The change will go into effect July 14 when North Korea’s national carrier Air Koryo will start operating the new flights. The change will enable visitors to visit cities beyond Pyongyang using air transportation, a big breakthrough for the operation of tours in the country. The country has suffered from severe shortages in fuel in recent years, but has imported a large quantity from China this year that can help fuel the new routes and jumpstart DPRK’s blossoming tourism industry. YPT says it will incorporate North Korea’s new domestic flights into its independent package offerings when the flights become available in mid-July, and will later incorporate them into its group tours. Though most of its clients are from China, the company also offers its tours to Americans. Most of North Korea’s tourists are from China. 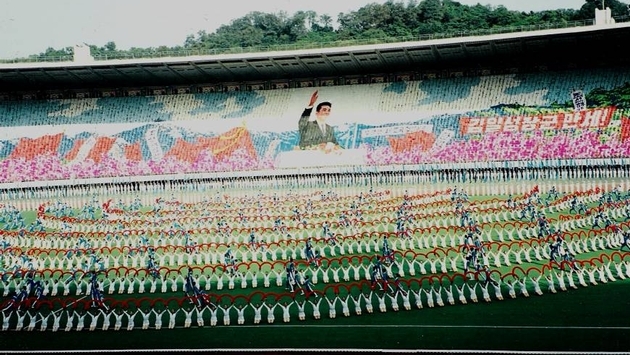 But a few American tour operators have offered some tours to North Korea, primarily to attend its Grand Mass Gymnastic and Artistic Performance, or Arirang festival, which incorporates a cast of 100,000 performing synchronized movements in a 150,000-seat stadium. In 2010 DPRK changed its policies to allow U.S. visitors to come at any time during the year. Previous to that, Americans were only allowed into the country during the Arirang festival or Mass Games. There are still some special restrictions for Americans in particular. Americans can only enter the company by air, not by train from China, as other nationalities are. The State Department warns that any travel activities that go beyond strictly maintained government boundaries and regulations could result in detention. There are occasional reports of Americans being detained in DPRK. Jeffrey Edward Fowle was reportedly detained after entering the country on April 29. North Korean state media reported that Fowle was detained for committing acts inconsistent with a tourism visit. Diplomatic sources are reported to have said the charges stem from Fowle leaving a Bible in his hotel room. Another U.S. visitor, Matthew Todd Miller, is said to have torn up his visa and asked for asylum after he entered North Korea. Miller was also detained. The Korean Central News Agency reported that arrangements are being made for court proceedings for Miller and Fowle, but did not say when. Tour operators that have offered tours to Korea for Americans include GeoEx of San Francisco; Universal Travel System of Santa Monica, Calif.; and Asia Pacific Travel of Kenilworth, Ill.